Getting married? Then Mehendi is a must. It is also a very important marriage ritual for Indians. This pre-wedding ritual takes place at least 2 to 3 days before the wedding and is considered one of the oldest wedding rituals in India. 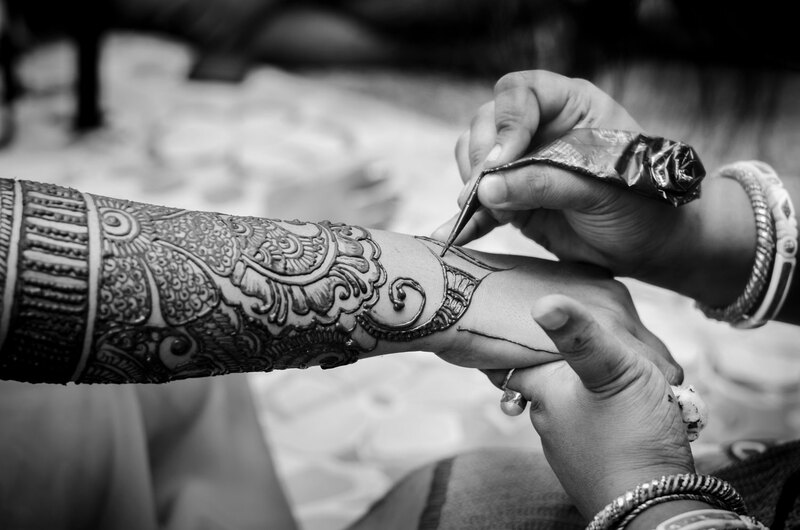 Not only that, to get rid of the anxiety for a while, Mehendi session is kind of a relaxation therapy. The color brightens on the 2nd day of Mehendi so, make a call to your Mehendi artist at least 2 days before your marriage. 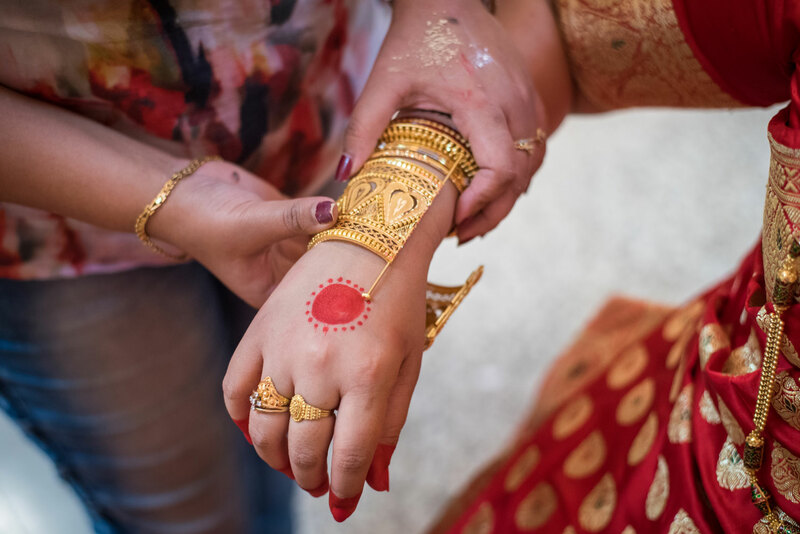 So for all the wonderful would be brides out there, we bring you a few tips and tricks for a long lasting and deep mehendi. 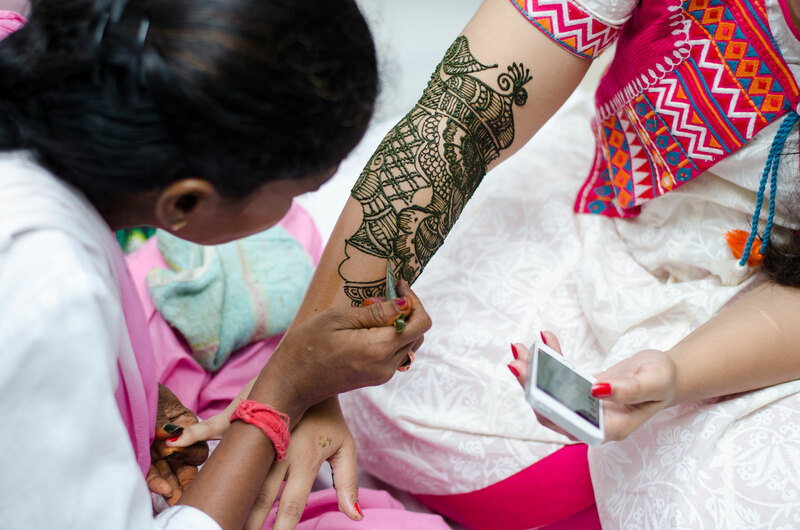 Book your Mehendi Artist at least 3 weeks before your wedding ceremony. 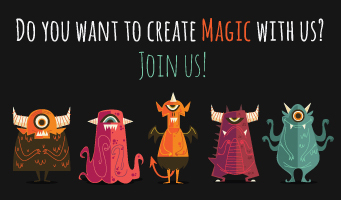 Start searching for designs and inspiration (here are some -click here). Ask your Mehendi artist to provide sample designs. Don’t ignore you’re your feet, they look amazing with Mehendi. Before applying mehendi wash your hands with soap. Do wear something comfortable because you’ve to sit and wait long for the mehendi application to be completed. It is always best to do the Mehendi during night so that it can get some time to dry and in the mean time you can get some sleep. 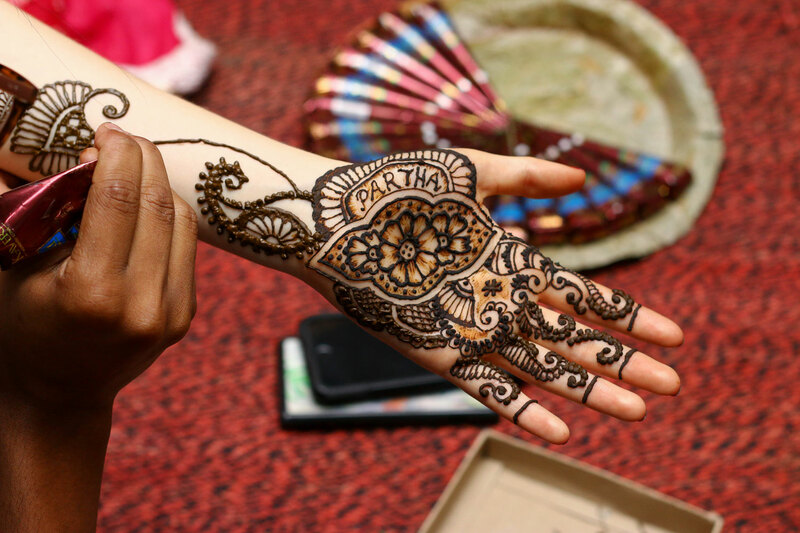 If you want a long-lasting mehendi and proper color, let the art-work dry first. Then just squeeze some lemon in a bowl and add some powdered sugar to it. Stair until the sugar melts. Apply the solution to the area of mehendi with the help of a cotton. Let it dry. Again repeat the procedure, then leave it for at least 2 hours or more if you can. Slowly rub the area of application so that the dried mehendi comes off, don’t use water. After clearing the surfaces apply mastered oil on it. Try to avoid water for a while. This will definitely help you bring a deep and a long lasting Mehendi. Avoid shaving or waxing your arms or legs after the mehendi application. Do all your pedicures, manicures, waxing, shavings and other beauty treatments at least one week before the mehendi ceremony. Just apply a single coat of moisturizer at least 2 or 3 hours before the art-work starts. 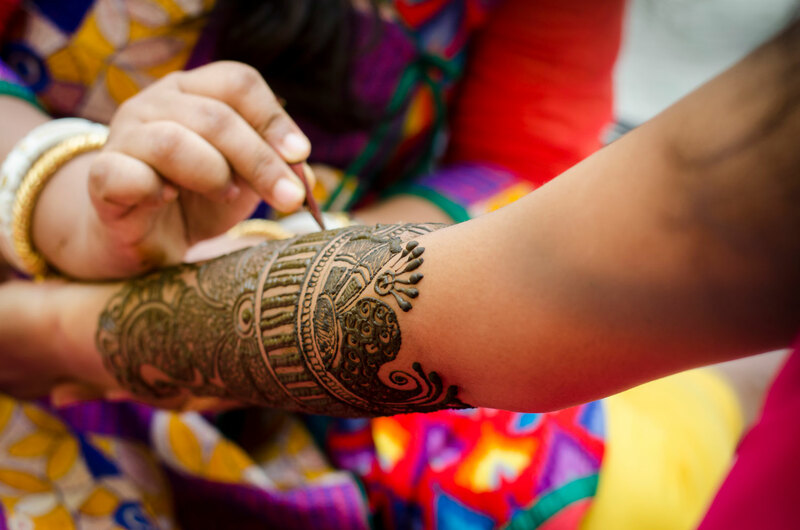 Try to get your mehendi done at least 48 hours before the d-day to get the best results and let it take time to dry. But if you are in a hurry to dry it, here is a tip: heat some cloves over a frying pan and run your hands over the steam it helps to dry faster. If you think mehendi is too main stream we suggest you go for the simple but elegant “alta” design. 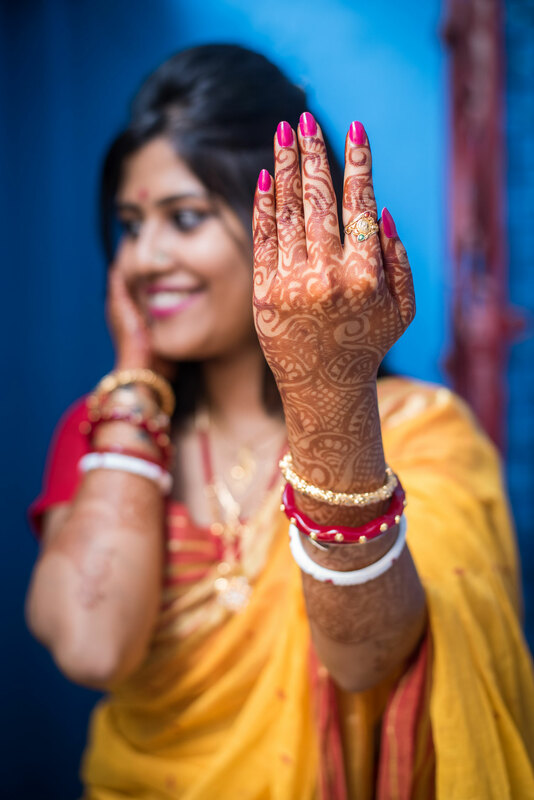 Last But Not the least; don’t forget to tell your photographers to cover your mehendi ceremony. 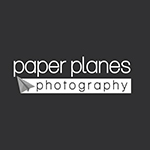 You don’t wanna miss out on those beautiful and fun filled memories to be captured.